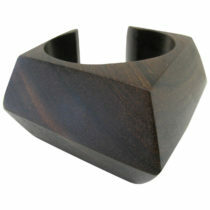 A Dramatic wood bracelet by Catherine Noll. 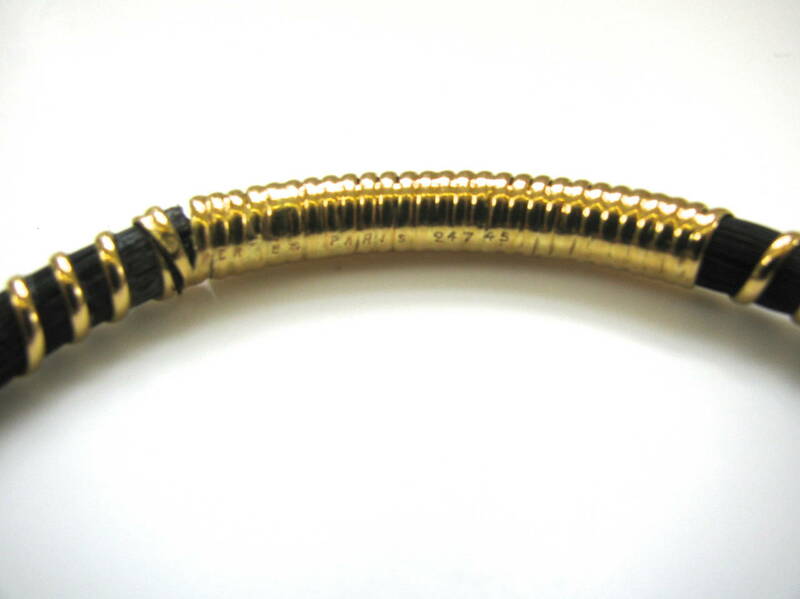 A Charming Edwardian gold bracelet. 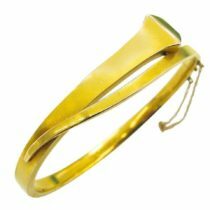 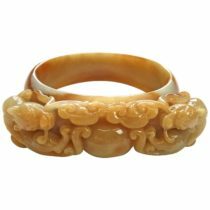 Butterscotch Jade, handsome carved bangle. 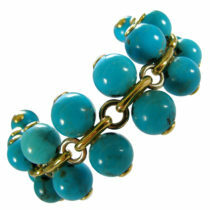 A stylish turquoise bracelet, Italy. 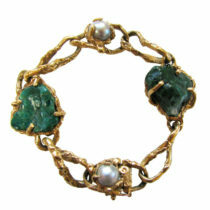 A stylish gold, pearl and malachite bracelet by Arthur King. 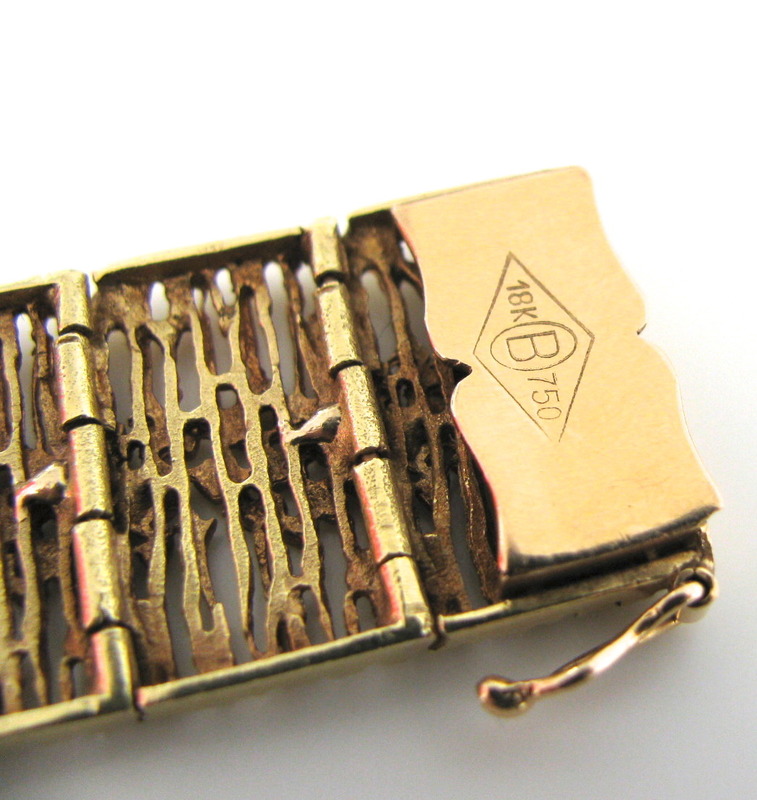 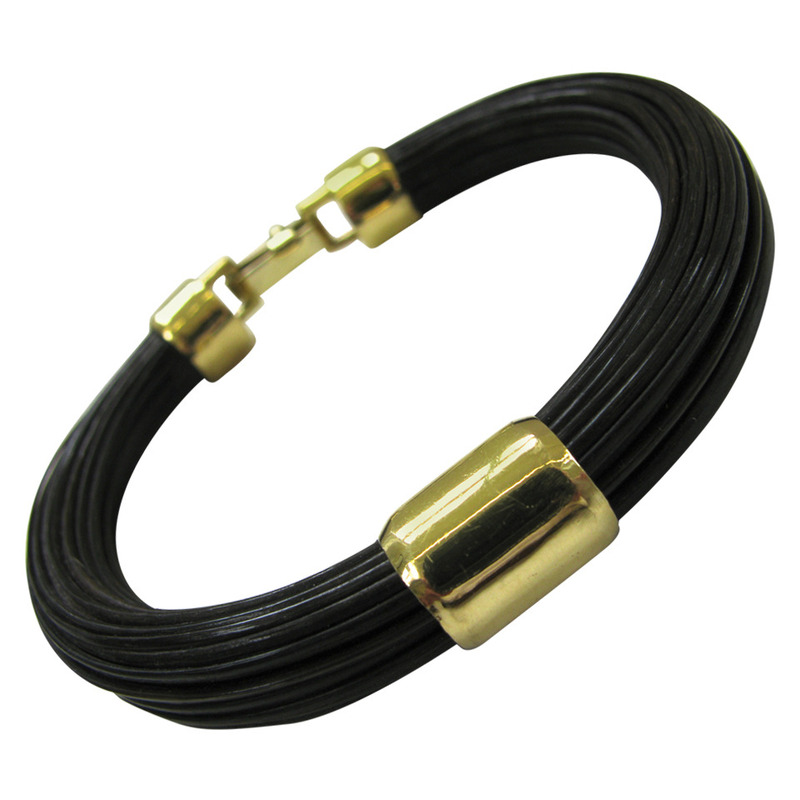 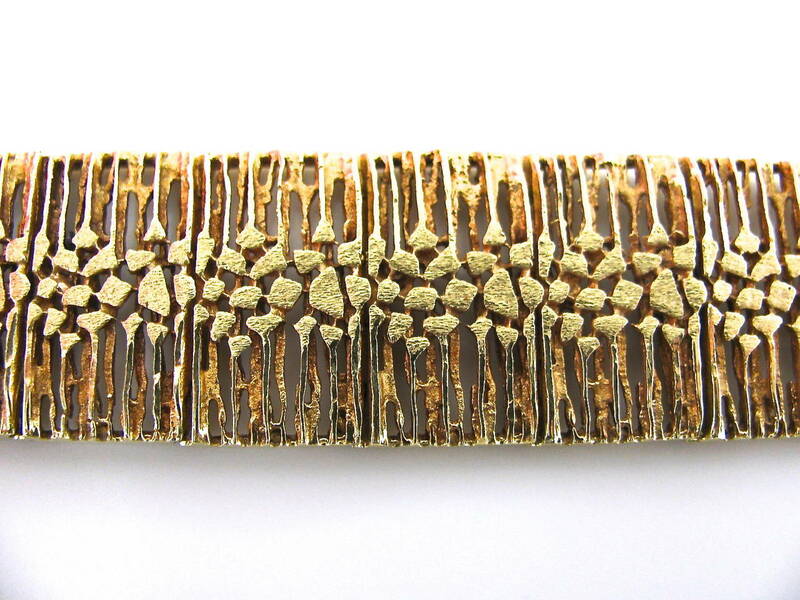 A stylish modernist gold bracelet. A handsome elephant hair bangle by Hermes. 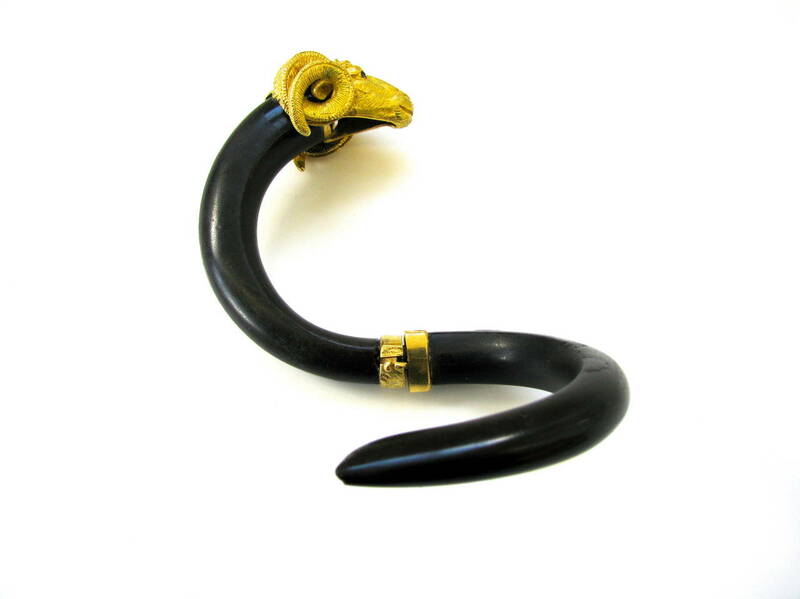 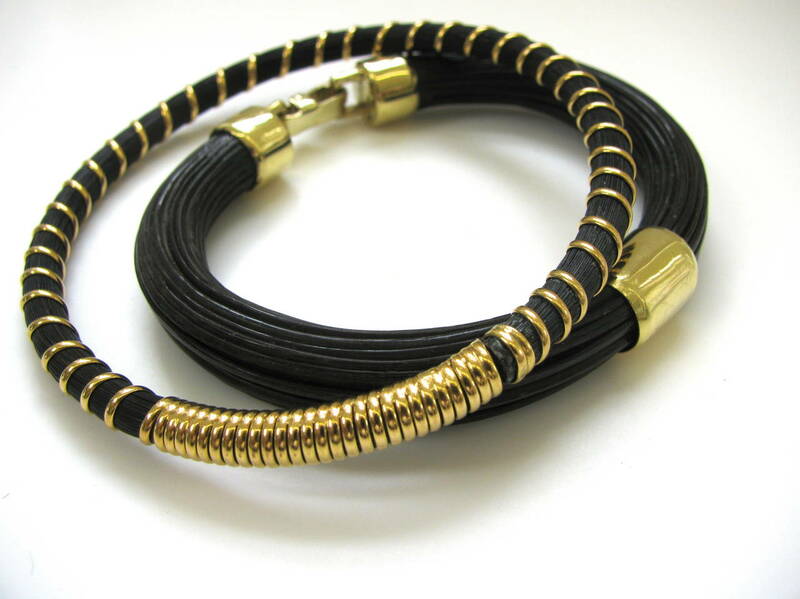 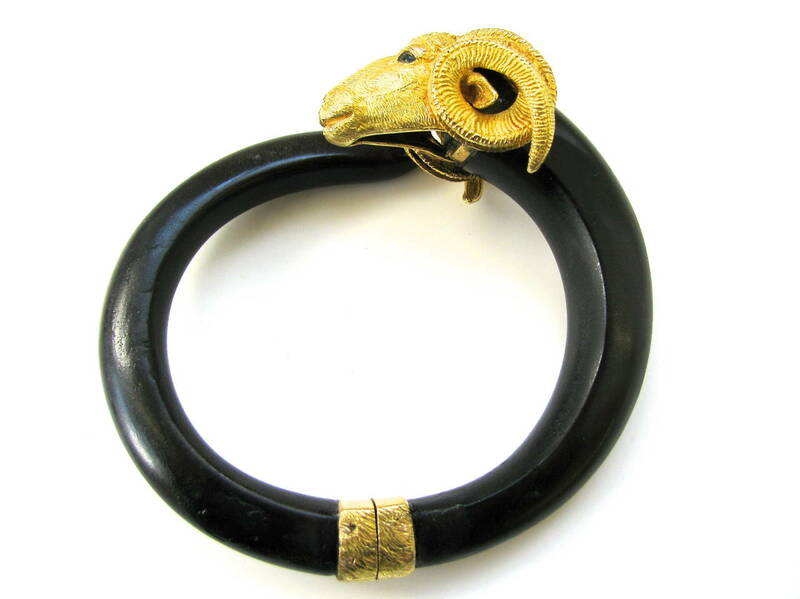 A Charming French bracelet by Gay Freres. 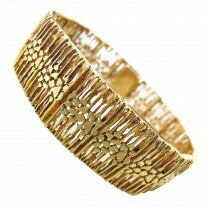 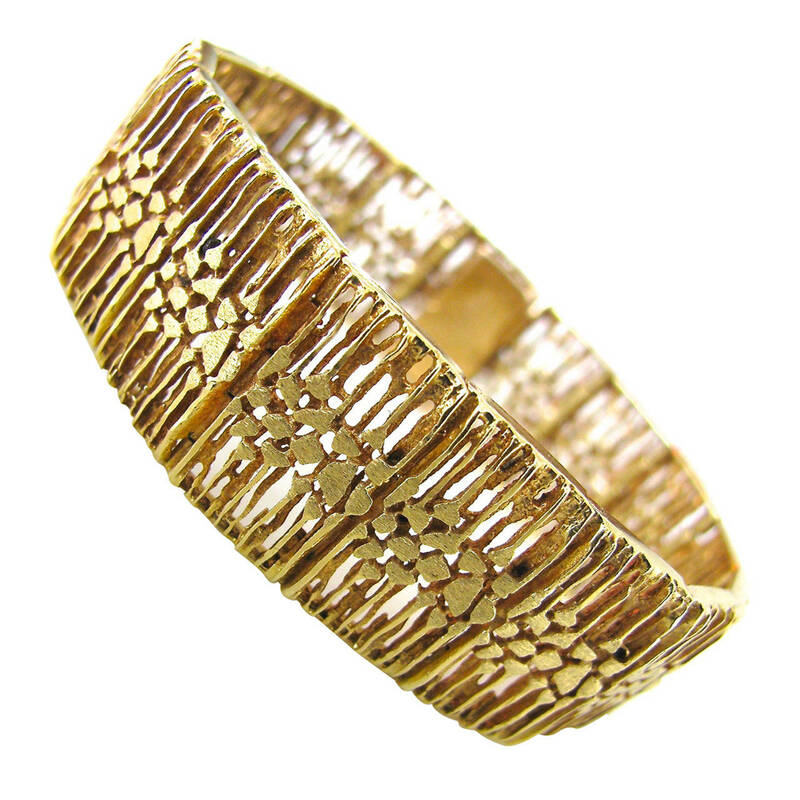 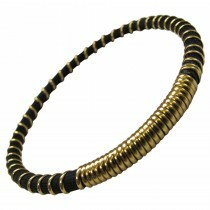 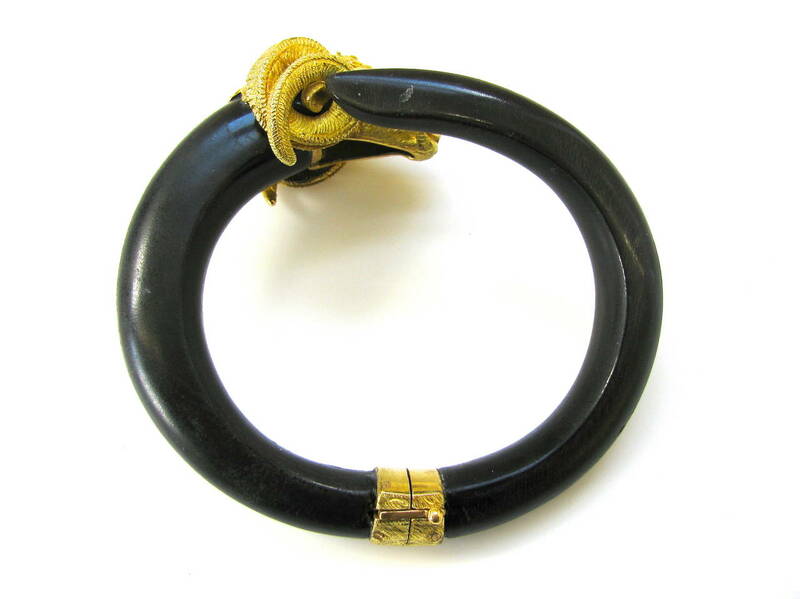 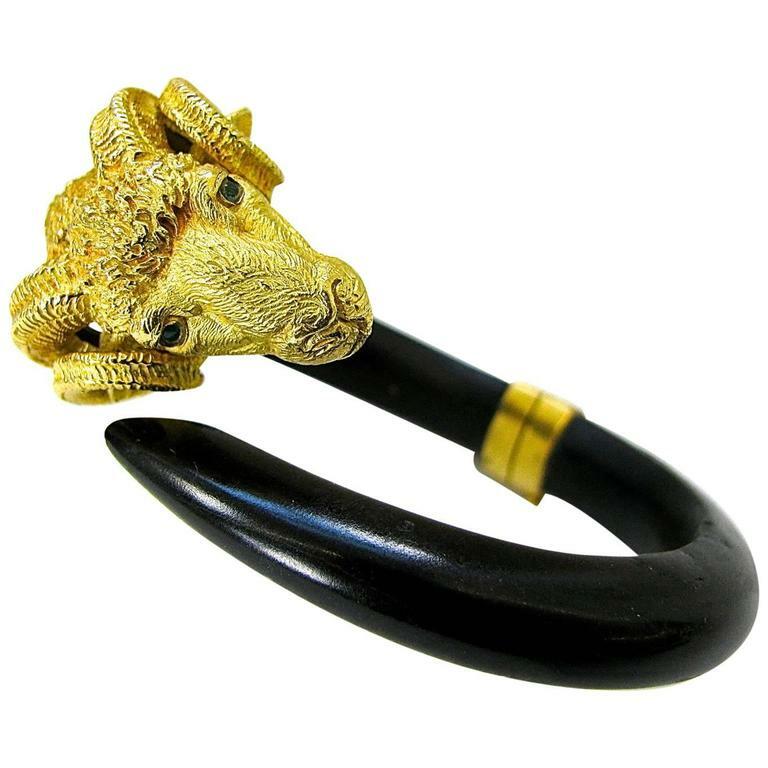 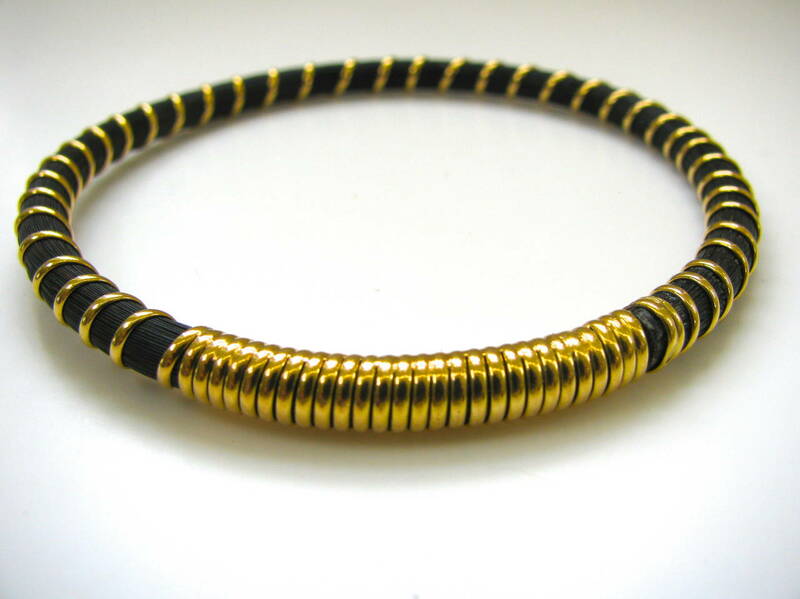 A Groovy gold and elephant hair bangle. 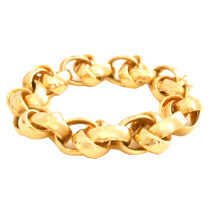 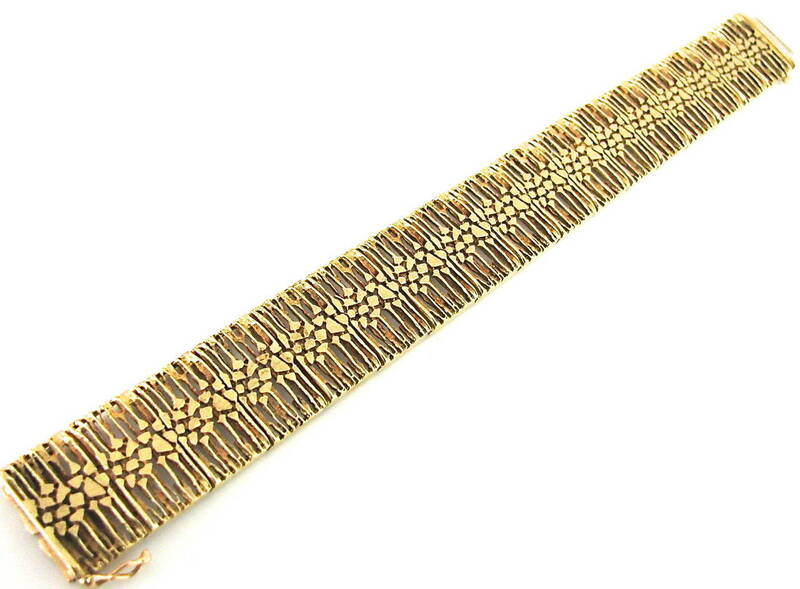 A substantial 18k yellow gold link bracelet.